July 2016Recent clinical studies show patients supplementing with a flower-derived spice experienced significant vision improvement as measured by seeing an average of two additional lines on the eye chart used by ophthalmologists to test vision. 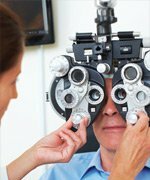 Up to 11 million people in the United States have at least some degree of age-related macular degeneration.2,8 While 2% of 50 to 59 year olds suffer from the disease, that number surges to 30% in those over 75 years.2The macula, the small spot at the center of the retina, is particularly rich in light-sensing cells, which are essential for our ability to sharply see things that are directly in front of us.1 Because of its yellow color, the macula absorbs excess blue and ultraviolet light in order to prevent their destructive effects on light-sensing cells.9-11 Think of it as protective sunglasses for the retina.Age-related macular degeneration occurs in response to prolonged exposure of the eye to visible and ultraviolet light, as well as chemical stresses from a glucose– and oxygen-rich blood supply. Over time, these factors all contribute to the breakdown of our retinal light-sensing cells.As degeneration of cells in the macula progresses, victims lose their central vision and become less able to see what they are trying to focus on.1,12 Consequently, the ability to read, drive, do intricate work, and perform many other daily tasks can become impaired, even before the onset of legal blindness.It is important to protect the structural integrity of the macula early in order to prevent it from degenerating to its more advanced stages. 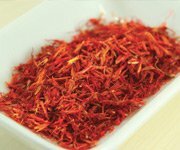 Saffron is a culinary spice derived from parts of the crocus (Crocus sativus) flower. 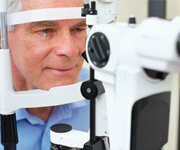 Newly published scientific studies demonstrate its ability to improve visual acuity and to improve sensitivity of the retina to light in people with early macular degeneration. 4-6Saffron protects and prevents the steady breakdown of light-sensitive cells in the center of the retina, the macula. This addresses the root cause of age-related macular degeneration and improves light sensitivity, a major manifestation of the disease.In the first study, patients with early age-related macular degeneration were randomly assigned to receive either 20 mg per day of saffron or a placebo.During the supplement phase, patients had stronger electrical responses to light overall.4 Researchers were able to determine these improvements by using sophisticated testing that measures the electrical output of retinal cells in response to light stimulation. 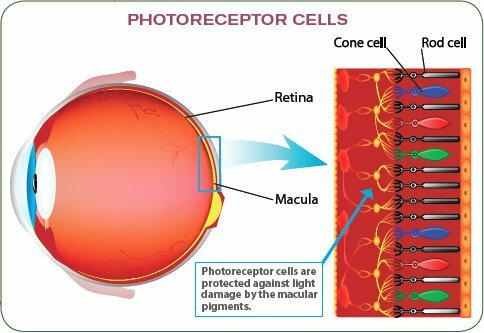 If these tests show relatively poor responses to light, it is an indicator of ailing retinal cells.13The patients also had a better response to dim light during the supplement phase (meaning that their eyes were more sensitive to dim light images). No such changes were apparent during the placebo phase. This means that saffron supplementation improved the light-sensing abilities of retinal cells in early age-related macular degeneration.4 This is an unprecedented finding.In a second observation of this study, subjects who took saffron had a significant increase in visual acuity, a term that refers to the sharpness of vision at a distance. After three months of supplementation, patients had an average increase in visual acuity at a distance of one full line (14.3% better than baseline) on the familiar Snellen vision chart which measures visual acuity at a distance of 20 feet.4 That means, for example, that someone whose visual acuity at a distance was 20/40 prior to supplementation would see with 20/30 vision afterwards. Once again, no improvement in distance vision was seen in placebo recipients.These findings were replicated after three months, when the supplement/placebo treatments were reassigned and then continued for another three months.4 This suggests consistency and reproducibility of benefit for the dietary supplement with improving visual acuity at a distance. While these initial observations demonstrated meaningful and rapid visual improvements, scientists wanted to see if saffron could produce more long-term effects. That’s why, in a follow-up study, the same researchers examined saffron supplementation (20 mg per day) in subjects with early macular degeneration over an average treatment period of 14 months.6In a similar finding to the first study, retinal sensitivity to light increased significantly by the end of three months—and impressively, it remained elevated for the entire course of the study. Even more impressive, the average visual acuity improved by not one, but two lines on the Snellen chart.6 This shows us that longer supplementation periods produce further vision improvement.A third human study confirms the previous findings and demonstrates nearly identical improvements in retinal light sensitivity over an average 11-month period. This study went a step further because it determined that saffron produces improvements in early age-related macular degeneration regardless of one’s heredity.5 This is important because it means that the results of these studies can be generalized to all adults with early age-related macular degeneration, not just those with specific genetic risk factors. Age-related macular degeneration (AMD) threatens all Americans with eventual vision loss and even blindness. To date, only advanced age-related macular degeneration has proved amenable to treatment, while prevention efforts have failed to slow the disease in its earliest stages, before substantial retinal damage has occurred. New studies reveal that saffron can enhance retinal responses and sensitivity to light and significantly improve visual acuity in people with early age-related macular degeneration. Saffron’s benefits can be augmented by other proven vision-preserving nutrients, including alpha-carotene, lutein, zeaxanthin, and astaxanthin, as well as cyanidin-3-glucoside, which preserves dim-light vision. Together, these nutrients appear applicable to all people 50 years and older, offering protection against age-related macular degeneration at its earliest stages. CAN ALPHA-CAROTENE PREVENT PREMATURE DEATH? Alpha-carotene is getting a lot of attention as a vision-enhancing, retinal-protecting supplement. Recent studies, however, suggest another intriguing—and potentially ground-breaking—effect of alpha-carotene in the blood: prolonging life. There is now good support for a mechanism by which it could do so.Large-scale studies have shown a significant association between serum levels of the carotenoid alpha-carotene and the risk of dying. 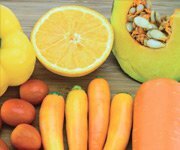 In a study of more than 15,000 people, individuals with the highest alpha-carotene levels were 39% less likely to die from all causes compared to those with the lowest levels.40A 2016 study suggests one possible reason for this longevity-promoting feature of alpha-carotene: preventing the shortening of telomeres, which are the stretches of DNA at the ends of chromosomes that are associated with aging. Shorter telomeres are associated with more advanced aging.In a study of more than 3,600 people, those with higher levels of alpha-carotene and other carotenoid pigments in their blood had longer telomeres. Indeed, a doubling in blood alpha- and beta-carotene and beta-cryptoxanthin was associated with 2% longer telomeres, and those with the highest levels had telomeres 5% to 8% longer than those with the lowest levels.41Thus, a high intake of alpha-carotene and other carotenoid pigments could help aging individuals achieve a longer life through slowing telomere shortening. Macular degeneration threatens every American over 50 with vision loss.Certain carotenoids have been shown to help prevent this condition and delay progression in its intermediate to advanced (blinding) stages. The dilemma up until now was how to protect against so-called “normal” loss of visual acuity that occurs with aging.New human studies indicate that supplementing with saffron can, for the first time, produce meaningful changes in the retina and improve visual acuity, even in people with early macular degeneration. 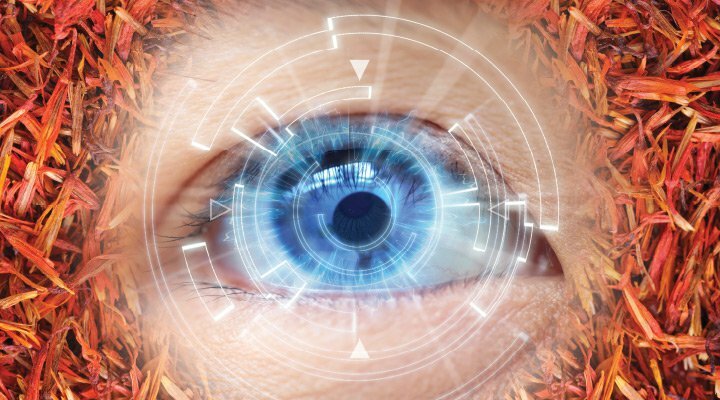 This knowledge should allow everyone to protect their vision before symptoms appear, and before significant breakdown of retinal light-sensing cells occurs.Saffron and alpha-carotene are now available in combination with other vision-protecting nutrients, including lutein, zeaxanthin (and their related compounds), and astaxanthin. These plant pigments powerfully absorb blue and ultraviolet light, which are the most damaging to retinal cells. The addition of cyanidin-3-glucosidehelps protect against night blindness and reduced vision in dim light.Widespread use of these plant-derived extracts could have enormous public health implications in providing meaningful ocular support as populations move into older age.If you have any questions on the scientific content of this article, please call a Life Extension® Wellness Specialist at 1-866-864-3027. Available at: https://nei.nih.gov/health/maculardegen/armd_facts. Accessed March 23, 2016. Available at: http://www.brightfocus.org/macular/article/age-related-macular-facts-figures. Accessed March 23, 2016. The Age-Related Eye Disease Study 2 Research G. Lutein + zeaxanthin and omega-3 fatty acids for age-related macular degeneration: The age-related eye disease study 2 (areds2) randomized clinical trial. JAMA. 2013;309(19):2005-15. Falsini B, Piccardi M, Minnella A, et al. Influence of saffron supplementation on retinal flicker sensitivity in early age-related macular degeneration. Invest Ophthalmol Vis Sci. 2010;51(12):6118-24. Marangoni D, Falsini B, Piccardi M, et al. Functional effect of saffron supplementation and risk genotypes in early age-related macular degeneration: a preliminary report. J Transl Med. 2013;11:228. Piccardi M, Marangoni D, Minnella AM, et al. A longitudinal follow-up study of saffron supplementation in early age-related macular degeneration: sustained benefits to central retinal function. Evid Based Complement Alternat Med. 2012;2012:429124. Wu J, Cho E, Willett WC, et al. Intakes of lutein, zeaxanthin, and other carotenoids and age-related macular degeneration during 2 decades of prospective follow-up. JAMA Ophthalmol. 2015;133(12):1415-24. Rein DB, Wittenborn JS, Zhang X, et al. Forecasting age-related macular degeneration through the year 2050: the potential impact of new treatments. Arch Ophthalmol. 2009;127(4):533-40. Semba RD, Dagnelie G. Are lutein and zeaxanthin conditionally essential nutrients for eye health? Med Hypotheses. 2003;61(4):465-72. Moukarzel AA, Bejjani RA, Fares FN. Xanthophylls and eye health of infants and adults. J Med Liban. 2009;57(4):261-7. Krinsky NI, Landrum JT, Bone RA. Biologic mechanisms of the protective role of lutein and zeaxanthin in the eye. Annu Rev Nutr. 2003;23:171-201. Available at: http://www.brightfocus.org/macular/information.Accessed March 30, 2016. Wood A, Margrain T, Binns AM. Detection of early age-related macular degeneration using novel functional parameters of the focal cone electroretinogram. PLoS One. 2014;9(5):e96742. Ma L, Lin XM. Effects of lutein and zeaxanthin on aspects of eye health. J Sci Food Agric. 2010;90(1):2-12. Roberts JE, Dennison J. The photobiology of lutein and zeaxanthin in the eye. J Ophthalmol. 2015;2015:687173. Pongcharoen S, Warnnissorn P, Lertkajornsin O, et al. Protective effect of silk lutein on ultraviolet B-irradiated human keratinocytes. Biol Res. 2013;46(1):39-45. Aimjongjun S, Sutheerawattananonda M, Limpeanchob N. Silk lutein extract and its combination with vitamin E reduce UVB-mediated oxidative damage to retinal pigment epithelial cells.J Photochem Photobiol B.2013;124:34-41. Garcia-Layana A, Recalde S, Alaman AS, et al. Effects of lutein and docosahexaenoic acid supplementation on macular pigment optical density in a randomized controlled trial. Nutrients. 2013;5(2):543-51. Murray IJ, Makridaki M, van der Veen RL, et al. Lutein supplementation over a one-year period in early AMD might have a mild beneficial effect on visual acuity: the CLEAR study. Invest Ophthalmol Vis Sci. 2013;54(3):1781-8. Sasamoto Y, Gomi F, Sawa M, et al. Effect of 1-year lutein supplementation on macular pigment optical density and visual function. Graefes Arch Clin Exp Ophthalmol. 2011;249(12):1847-54. Ma L, Dou HL, Huang YM, et al. Improvement of retinal function in early age-related macular degeneration after lutein and zeaxanthin supplementation: a randomized, double-masked, placebo-controlled trial. Am J Ophthalmol. 2012;154(4):625-34.e1. Ma L, Yan SF, Huang YM, et al. Effect of lutein and zeaxanthin on macular pigment and visual function in patients with early age-related macular degeneration. Ophthalmology. 2012;119(11):2290-7. Richer S, Stiles W, Statkute L, et al. Double-masked, placebo-controlled, randomized trial of lutein and antioxidantsupplementation in the intervention of atrophic age-relatedmacular degeneration: the Veterans LAST study (Lutein Antioxidant Supplementation Trial). Optometry. 2004;75(4):216-30. Weigert G, Kaya S, Pemp B, et al. Effects of lutein supplementation on macular pigment optical density and visual acuity in patients with age-related macular degeneration. Invest Ophthalmol Vis Sci. 2011;52(11):8174-8. Tremblay F, Waterhouse J, Nason J, et al. Prophylactic neuroprotection by blueberry-enriched diet in a rat model of light-induced retinopathy. J Nutr Biochem. 2013;24(4):647-55. Lee SH, Jeong E, Paik SS, et al. Cyanidin-3-glucoside extracted from mulberry fruit can reduce N-methyl-N-nitrosourea-induced retinal degeneration in rats. Curr Eye Res. 2014;39(1):79-87. Matsumoto H, Nakamura Y, Tachibanaki S, et al. Stimulatory effect of cyanidin 3-glycosides on the regeneration of rhodopsin. J Agric Food Chem. 2003;51(12):3560-3. Yanamala N, Tirupula KC, Balem F, et al. pH-dependent interaction of rhodopsin with cyanidin-3-glucoside. 1. Structural aspects. Photochem Photobiol. 2009;85(2):454-62. Tirupula KC, Balem F, Yanamala N, et al. pH-dependent interaction of rhodopsin with cyanidin-3-glucoside. 2. Functional aspects. Photochem Photobiol. 2009;85(2):463-70. Available at: http://www.ncbi.nlm.nih.gov/books/NBK10850/.Accessed March 29, 2016. Nakaishi H, Matsumoto H, Tominaga S, et al. Effects of black current anthocyanoside intake on dark adaptation and VDT work-induced transient refractive alteration in healthy humans. Altern Med Rev. 2000;5(6):553-62. Izumi-Nagai K, Nagai N, Ohgami K, et al. Inhibition of choroidal neovascularization with an anti-inflammatory carotenoid astaxanthin. Invest Ophthalmol Vis Sci. 2008;49(4):1679-85. Dong LY, Jin J, Lu G, et al. Astaxanthin attenuates the apoptosis of retinal ganglion cells in db/db mice by inhibition of oxidative stress. Mar Drugs. 2013;11(3):960-74. Li Z, Dong X, Liu H, et al. Astaxanthin protects ARPE-19 cells from oxidative stress via upregulation of Nrf2-regulated phase II enzymes through activation of PI3K/Akt. Mol Vis. 2013;19:1656-66. Cort A, Ozturk N, Akpinar D, et al. Suppressive effect of astaxanthin on retinal injury induced by elevated intraocular pressure. Regul Toxicol Pharmacol. 2010;58(1):121-30. Ishida S. Lifestyle-related diseases and anti-aging ophthalmology: suppression of retinal and choroidal pathologies by inhibiting renin-angiotensin system and inflammation. Nippon Ganka Gakkai Zasshi. 2009;113(3):403-22; discussion 23. Parisi V, Tedeschi M, Gallinaro G, et al. Carotenoids and antioxidants in age-related maculopathy italian study: multifocal electroretinogram modifications after 1 year. Ophthalmology. 2008;115(2):324-33.e2. Piermarocchi S, Saviano S, Parisi V, et al. 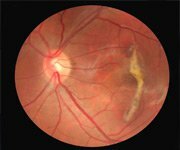 Carotenoids in age-related maculopathy Italian study (CARMIS): two-year results of a randomized study. Eur J Ophthalmol. 2012;22(2):216-25. Available at: http://www.brightfocus.org/macular/types. Accessed March 29, 2016. Li C, Ford ES, Zhao G, et al. Serum alpha-carotene concentrations and risk of death among US Adults: the Third National Health and Nutrition Examination Survey Follow-up Study. Arch Intern Med. 2011;171(6):507-15.